This year marks the 50th anniversary of The Tokyo Ballet, and the company plans to celebrate every step of the way. 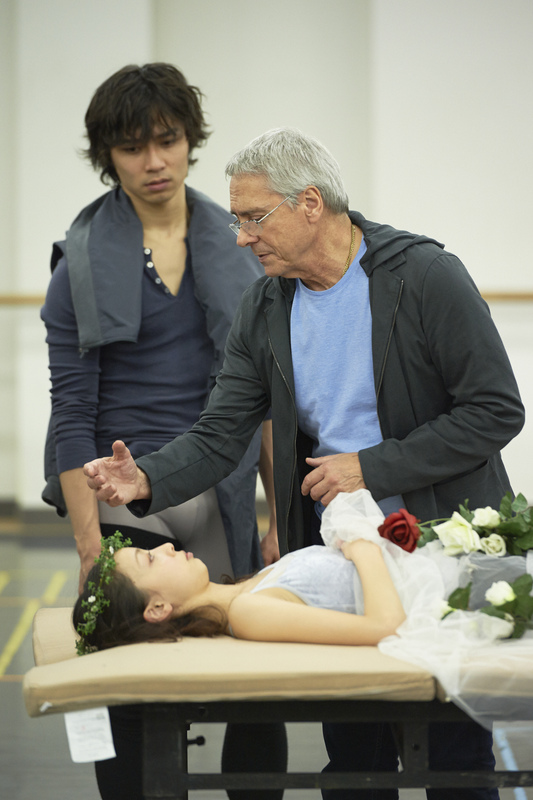 To launch a full year’s commemoration of its ethos — creative exchanges in dance on a national and global stage — the company’s party kicks off with the Japan première of “Romeo and Juliet” by the U.S. dancer/choreographer and artistic director of the Hamburg Ballet, John Neumeier. The production runs at Tokyo Bunka Kaikan in Ueno from Feb. 6-9. With its tour to Athens in December, The Tokyo Ballet has now performed in 150 cities in 30 different countries — totaling 722 overseas performances since 1964. This production of “Romeo and Juliet” gives the internationally active company a chance to celebrate its home-based relationship with visiting foreign artists and choreographers. 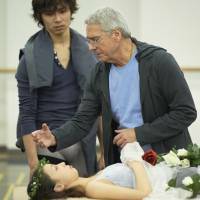 Plans to stage a full-length Neumeier production have been under way for several years. And, as Neumeier, 74, stated in a Jan. 27 press conference after arriving in Tokyo for preparations: “I was very happy to accept the invitation from The Tokyo Ballet for their 50th anniversary season to produce this ballet, because I believe that this story is so deep and universal for all people without a thought for time or place. For this golden jubilee work by The Tokyo Ballet, audiences can enjoy seeing both established and rising stars by selecting a performance featuring internationally acclaimed guest artists and its own young dancers. Hence its principal dancers Dan Tsukamoto and Haruo Goto will split performances as Romeo, partnering the up-and-coming Kanako Oki and Natsumi Kishimoto as Juliet. Oki joined the company three years ago and quickly found her place, dancing the lead role in two productions before being selected by Neumeier for Juliet. She and Tsukamoto perform on the 6th and 8th, while Kishimoto takes the stage as Juliet — her first lead role — on Feb. 9 with veteran Goto. The international stars French principal Hélène Bouchet and Brazilian principal Thiago Bordin — both from the Hamburg Ballet — perform on the 7th. Other notable cast members include Kazuo Kimura as Mercutio and Mao Morikawa as Tybalt. To add to the multinational atmosphere, acclaimed German designer Jürgen Rose’s costumes and sets will be used, while Benjamin Pope, music director of the Royal Ballet of Flanders and a graduate of the Royal College of Music, will conduct with The Tokyo City Philharmonic Orchestra. All in all, this promises to be an exciting first step in a year of celebration. As another special project for its anniversary that further celebrates its global outreach and bridge-building, The Tokyo Ballet recently announced that Ukrainian-born Vladimir Malakhov, a renowned dancer who is now artistic director of the Berlin State Ballet, will join The Tokyo Ballet in August as an artistic adviser. Malakhov, 46, has often been a guest artist with the company. Meanwhile, other 50th-anniversary events to look forward to include a special August gala production. Then in November — to also commemorate the 150th anniversary of diplomatic relations between Switzerland and Japan — Tokyo audiences will be treated to Maurice Béjart’s ballet “IXe Symphonie,” based on Beethoven’s “Ninth Symphony” and performed by the Béjart Ballet Lausanne with the Israel Philharmonic Orchestra conducted by Zubin Mehta. So, why not start off your season of dance with The Tokyo Ballet’s “Romeo and Juliet” to help get the 50th anniversary celebrations off on the right foot. “Romeo and Juliet” runs Feb. 6-9 at Tokyo Bunka Kaikan. Tickets are ¥3,000-¥11,000. For more details, call 03-3791-8888, visit www.nbs.or.jp or email english@nbs.or.jp.